I was gutted to know, at the Auto Expo, that the Aviator, despite the Civic parked behind it, had no real improvements to show in the engine department. I was straining to hear the words, ‘all-new 125cc engine from Honda R&D...’ and totally did not.A few months before that, sitting in a cafe near Milan, the genial chaps from Honda were explaining to me (and the other journos with me) that the next Honda would be a scooter, and more motorcycles would follow it. The reason, they said, was that while the Activa is the runaway market leader, it finally does have a semblance of competition. Out of the smoking heap of competing scooters, two credible alternatives have emerged. The first being the excellent, if diminutive, Kinetic Flyte and the other being the potent, if dowdy, Suzuki Access. 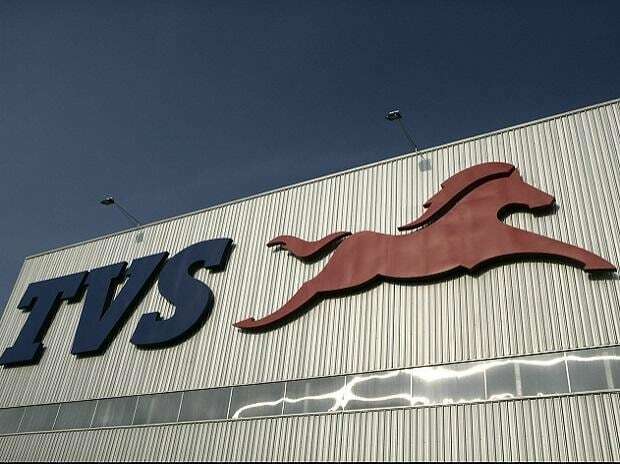 The second largest selling automatic, the TVS Scooty Pep (and family) were not in the discussion to the extent that the Pep had co-existed with the Activa without actively threatening the Honda, so it wasn’t really a new threat. More like a trusted old hostile, if you know what I mean. At the ride-launch of the Aviator itself, Honda clarified one more thing. 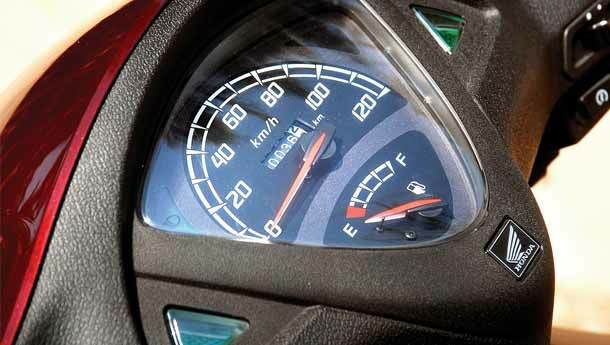 According to them, the Activa was about as close as you could get to a ‘everything to everyone’ scooter. It balanced, and not precariously either, exactly halfway between the two sexes.No, let me rephrase that. It appealed equally to male and female customers... there, much better when you put it like that. And it also sat bang in the middle between the styling and appeal needs of youthful buyers and mature buyers. The Dio was firmly male-youth. The third scooter, the Aviator, was to be male-mature. Wassallthatmean? Well, the Aviator seats you taller – contrary to what the leggy supermodels might make you believe, men have longer legs, even if solely by virtue of being taller on average. The styling is supposed to be upper-end, positively male, but not hormonal-macho. Which, again, I think they’ve managed. I don’t think the Aviator is particularly gorgeous, but I do think the front-end looks smart and polished. The rear, um, is not so great. It looks a bit hotch-potch, especially because the curvy tail lamp sits amidst panels that are generally flat. In fact, if the tail lamp lens wasn’t red, I think it would make a rather neat headlamp. I especially do not like that flat panel that edges the bottom of the tail lamp, which looks um, like an after thought almost. But as I’ve said repeatedly, my R1 could be your Morris Minor or vice versa. So let us get on with it. 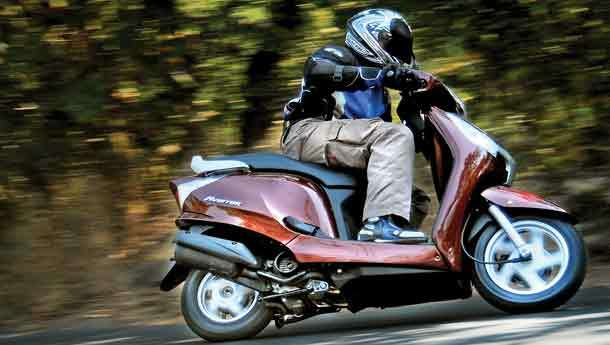 Under the ABS plastic and metal bodywork lies the Activa’s refined, proven 102cc, 7 bhp powertrain. In the Aviator, it is still as refined as usual, but feels just a little bit more peppy. Honda says that the only change is a minor re-routing of the intake and a design change in the air cleaner, which add just a whiff of torque low down, without really changing either the peak torque or the peak power. The most significant change, styling aside, lies in the chassis. 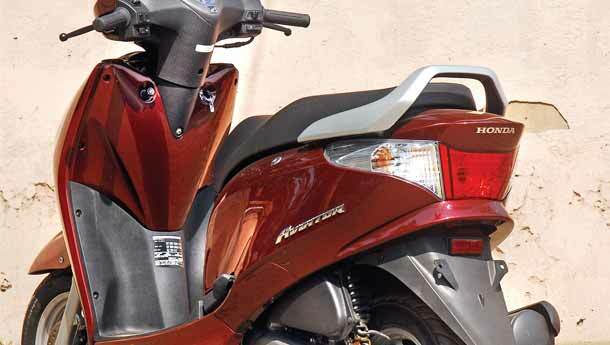 You see, after years of complaining about the Activa’s front suspension, the Aviator gets telescopic forks. The headstock was modified as needed to mount them. At the other end of the fork, the axle holds up a 12-inch wheel (rear remains 10 inches, and pressed steel). The aforementioned wheel is alloy with a disc brake on the top model, while the base version gets a same size steel-drum job. What that does is make the Aviator a lot more entertaining to ride. The wheel’s extra weight and size add a weighted feel to the handlebar. The Aviator feels a lot more motorcycle-like in steering than like a scooter. In the bends, this becomes a stable, accurate feeling that emanates from the machine. In any case, moving from trailing links to telescopic forks has about the same effect on handling as cleaning up a pair of greased-up, filthy sunglasses has on vision. The forks also add up in ride quality terms. While I haven’t ridden the three back to back, I would say the Aviator’s ride quality surpasses both the Access and the Flyte (both have telescopic forks too).But the other two also have something the Aviator does not. A 125cc engine. Despite the newfound pep when the revs are low, an Access will blow the Aviator away under acceleration. And there’s nothing the Aviator can do about that. 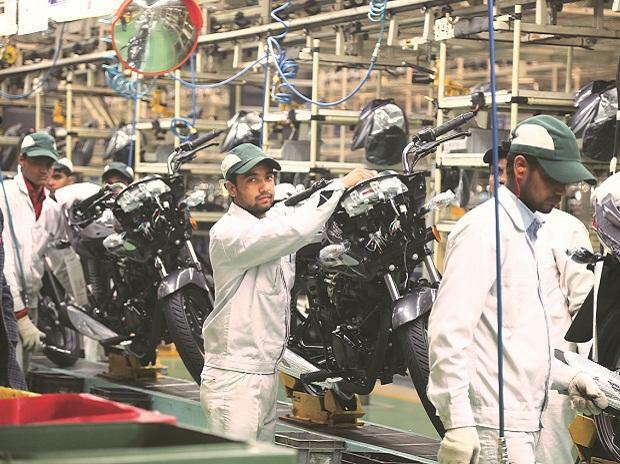 Honda says, simply, that the Aviator was planned as an upmarket scooter but developing a new 125cc engine for it would have pushed it too far up the order in price terms. Why did Honda launch a scooter? Honda’s been pushing the Shine and the Unicorn. But with the Access and the Flyte out, the Activa (finally) needed some help. Why not a new 125cc engine? The price difference is daunting. 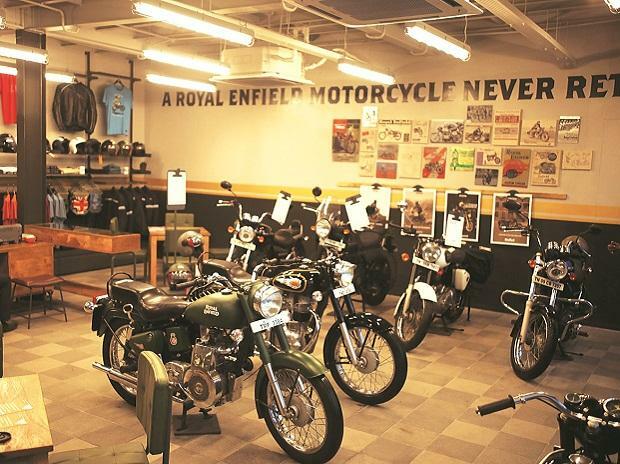 Rs 10,000 is a lot of money to pay for swanky bodywork, an alloy wheel, forks and a disc brake.